NOTE: THIS DESIGN IS ONLY FOR FUEL CELLS MANUFACTURED PRIOR TO NOVEMBER 2017. THE RCI FACILITY BURNED DOWN AND THEY'VE SINCE CHANGED THE LOCATION OF THEIR FILLER CAP. THIS MOUNT WORKS ON FUEL CELLS WHERE THE EDGE OF THE FILLER CAP IS 2.75" FROM THE EDGE OF THE TANK. THE NEW VERSION IS ABOUT 1.5"-1.63" TO THE EDGE. YOU CAN MODIFY THE MOUNT TO FIT NEWER FUEL CELLS HOWEVER IT IS NOT RETURNABLE AFTER MODIFICATION. THIS DISCLAIMER IS POSTED 10/15/2018 AND SHIPPING WILL NOT BE REFUNDED IF YOU PURCHASE THIS MOUNT AND USE IT ON NEWER FUEL CELLS. The RCI 2162a Fuel Cell Bracket is designed to add style, simplicity, and strength in securing your fuel cell. The RCI 2162a fuel cell is a popular choice for Jeep Wrangler owners due to its compact size and fit behind the rear seat. The problem with the fuel cell is that it comes with small aluminum tabs that break easily and allows the fuel cell to become unattached. 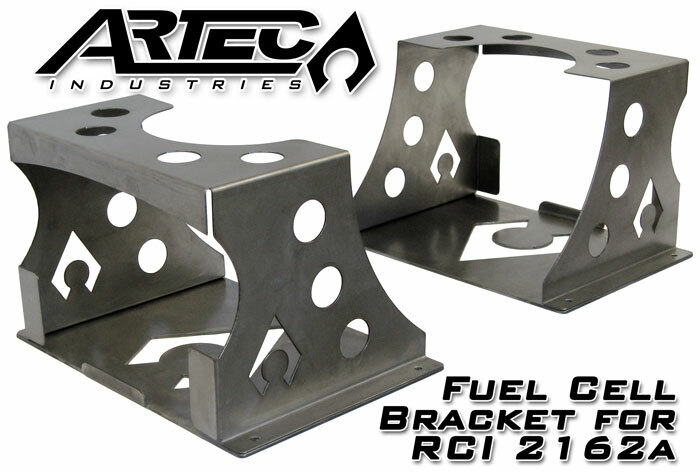 Don't compromise your safety; secure your RCI fuel cell with this Artec Fuel Cell Bracket. Get a mount that's more stylish than two straps of steel. Features two CNC cut and bent top cut from 16 gauge cold roll steel and two 10 gauge bases for uncompromised strength. 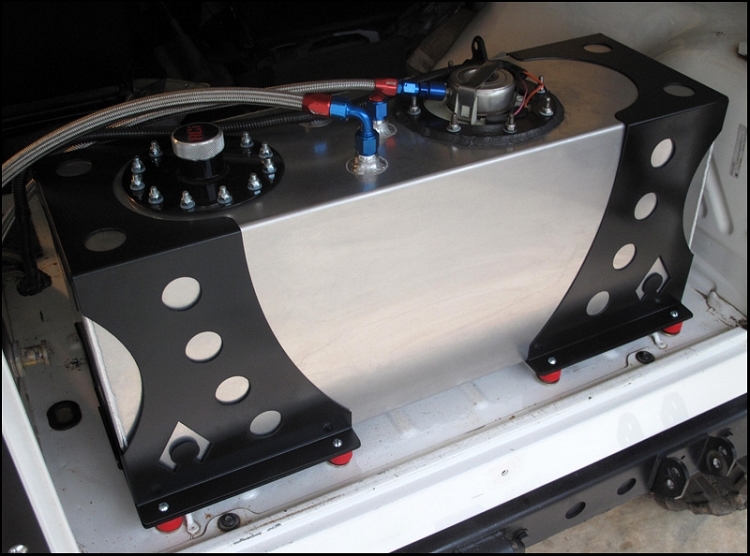 Bases are strong enough to flush mount to sheet metal tub, or hold the entire weight of the filled fuel cell on bushings or welded to a chassis. 4 pieces total. Fits 15 gallon RCI fuel cell model 2161a which measures 30Lx12Wx9H. Bare steel finish, requires paint, powdercoat, or plating to prevent rust. Not much you can really say about a fuel cell mount. Its obvious there is alot of quality control going into the manufacturing of this. The packaging was top notch. A layer of primer and couple coats of rattle can black and time to install. Saving $$$ for one of their quart crates now. 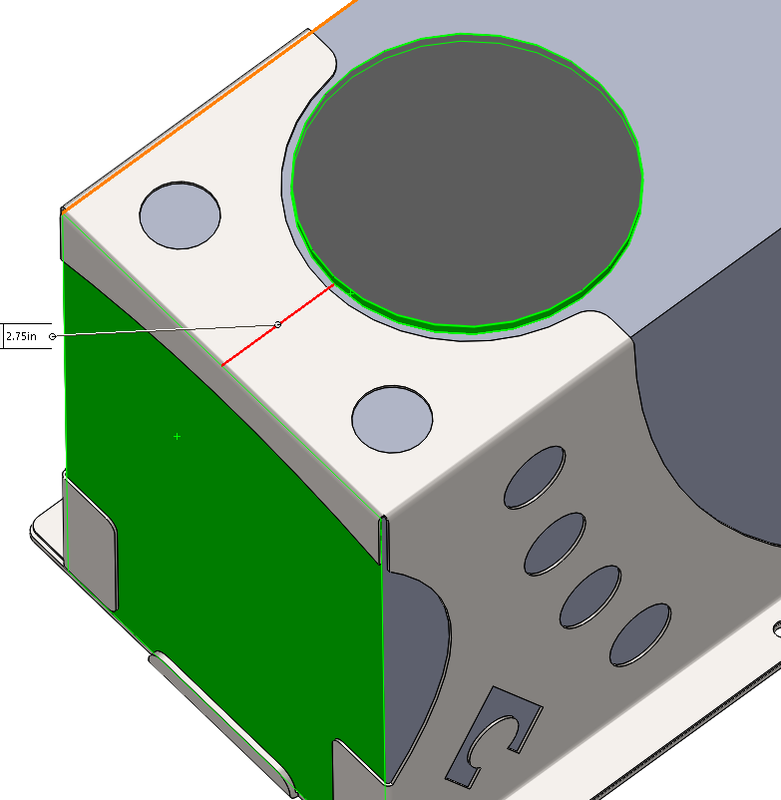 Excellent fuel cell mount, fits the fuel cell perfectly.